From the ramp to mega success in the music industry former Miss Zimbabwe Queen Vee is definitely living the dream.The Buffalo Soulja affiliate has managed to drop hits consistently since day one and her base in South Africa has helped her to get her visuals to continental television,a feat many Zimbabwean artists have failed to achieve.She has not forgotten her roots either,often dropping in the motherland to attend this function or that and even finds time to do a feature or two (Mari Mari with Soulja Love comes to mind as does Varidzi VePattern with Dobba Don). 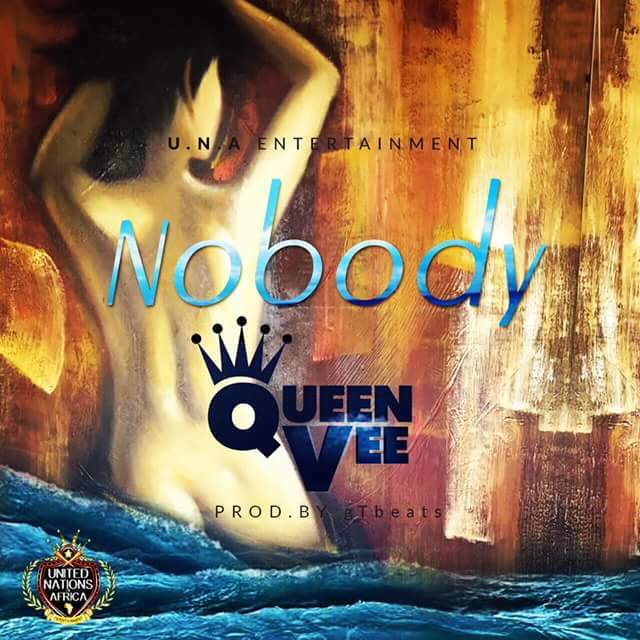 While homeboys were running from this doctor to the next in search of the elusive cure for January disease the Queen decided to bless us with a sensual pop banger produced by Gt beats titled Nobody.She croons her love for her hitta,honey,homey who happens to be a bedroom bully like Shabba on the retro Gt Beats production which contains unmistakable elements of that iconic Marvin Gaye Sexual Healing classic.The sing along joint is destined to terrorise radio charts seeing as its likeable on the first listen.For all y'all baed up people out there this is the perfect pre-Valentine dedication to your loved ones and the sensual motivation necessary to get the mood right in that afterdark abode. Knowing Queen Vee we can almost guarantee lit visuals to match are on their way.In the meantime head over to Queen Vee 's soundcloud/audiomack/YouTube channels and treat your ears to this retro-inspired banger.